The Fight Freestyle Quilt designed by Jenny of Missouri Quilt Co, The Tutorial is available for free. 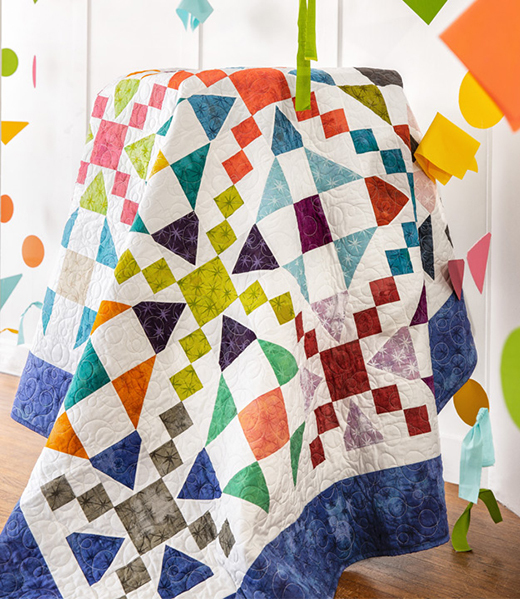 Jenny demonstrates how to make a gorgeous freestyle Fifty-four Forty or Fight quilt using 10 inch squares of precut fabric (layer cakes). Jenny used a Grunge "Seeing Stars" Metallic Layer Cake by Basic Grey for Moda Fabrics.